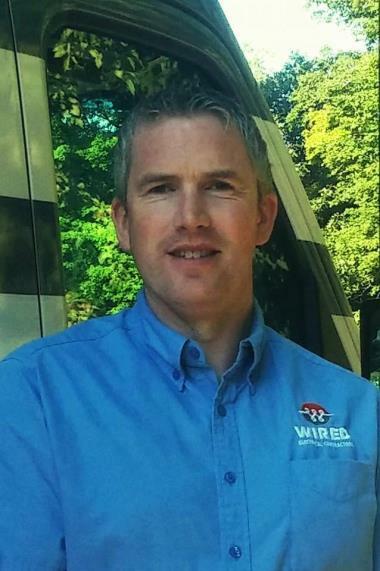 WIRED Electrical Contractors have built a legacy on providing Hudson MA homeowners with electrial services, repairs & installations that exceed expectations. Not only do they go above and beyond for clients, our Hudson MA electricians deliver quality service that eclipses industry standards as well. Read what your neighbors say about our electrical contractors below. We have used Paul several times and he is always punctual, professional, and full of ideas that result in a better outcome than originally planned. Will continue to use Paul for all our electrical needs. We recently had Wired visit to help solve a problem with our alarm system. They were thorough, courteous and very quick to respond to our request. Great response to last minute request for miscellaneous electrical repairs for getting house ready to sell. Appreciated the advise to get the work done fairly and with high degree of quality. The entire Wired team were great to work with, especially Paul and Alex. They helped install several fixtures and outlets in some new custom built-ins, and were happy to work with our schedule based on other contractors. The work was top-notch, but the price reflects that. Prompt and Polite, Thorough and Reasonably Priced! Alexander came out to give me a quote on some exterior wiring that had broken loose from its brackets. I had a few other small lighting issues inside the house as well. He looked everything over and gave me a quote that was slightly less than two other companies I had gotten estimates from. He took the time to explain what the problems were, how they would address them and WHY they would address them in that way (in particular, the exterior wiring) Since they had the best price, I went with "Wired." The office staff was helpful in scheduling, especially when I explained that my son had autism and might have a hard time with the electricity being out while he was home. We booked a time that was convenient for me and my needs. Alexander and his team arrived on time, got right to work and had everything done well within the allotted time frame. They even fixed an outlet I had forgotten to mention!. They were all professional, polite and clean. When they were finished, Alexander did a walk through with me and answered all of my questions. I will definitely call them for any future electrical work I may have. On time, courteous and cleaned everything up. I was very pleased with the guys at Wired. Did the job well, on time and were friendly/helpful. I would recommend them to others.